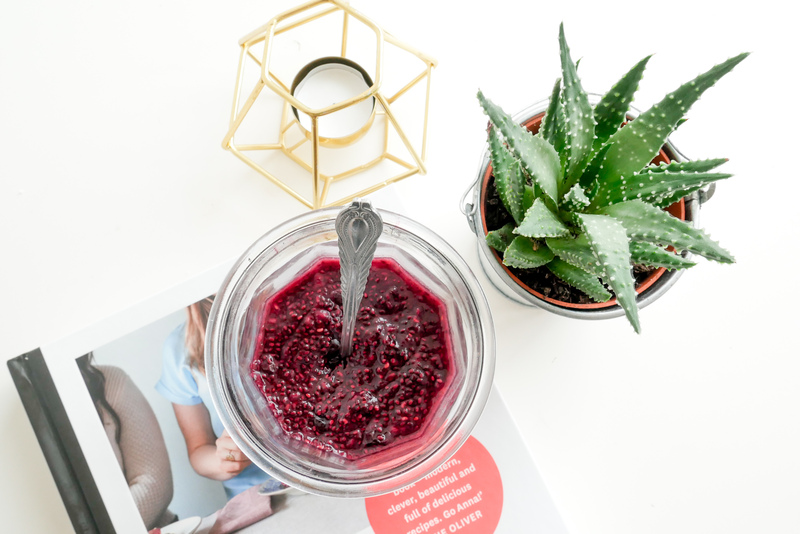 I know the Internet is full of pancake recipes, and you don’t need another one, but my reason for writing this is purely because I found a way to turn my favourite breakfast porridge (oat bran bircher with berries) into something more indulgent and filling. 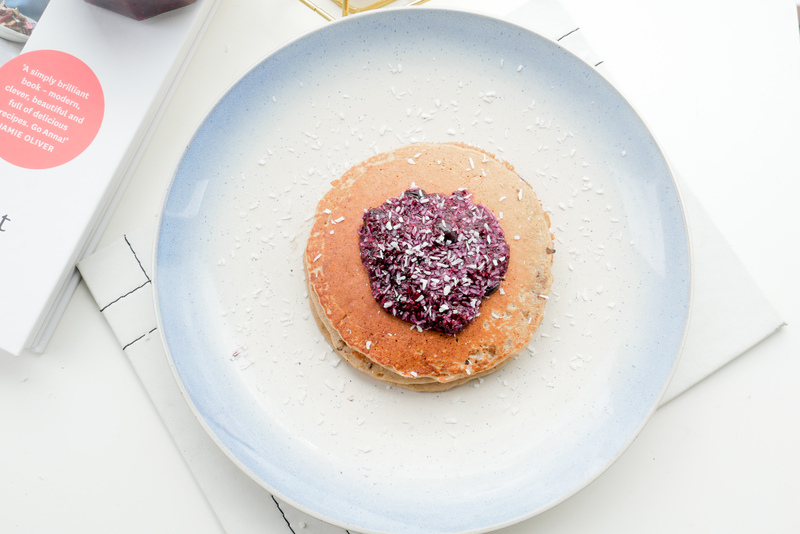 So here’s presenting the protein-packed buckwheat & Oat bran pancakes with berries and coconut chia jam. Doesn’t that sound delicious? Also, it’s refined sugar-free, so you can happily eat these with gusto. Initially, I made the pancakes with just the oat bran, and they turned out quite soggy, so I added a cup of buckwheat flour to get the fluffy texture. You can easily substitute it with plain or wholemeal flour. I really like the nuttiness of buckwheat, and it amps up the flavour of the pancakes. Makes about 4 – 6 pancakes // ½ cup of oat bran, 1 cup of buckwheat flour, 1 egg, 1 tsp vanilla extract, ½ cup of soymilk, a pinch of salt and two tbsp of stevia (sugar substitute). Mix all the dry ingredients and wet ingredients separately and combine them together. Heat a pan with a dollop of butter or an oil spray, and scoop out a ladle of batter onto the pan. Cook until browned evenly. I stumbled upon this recipe while trawling Ohsheglows website for healthy dessert options. I’ve put my own twist to it by including desiccated coconut and stevia to make it slightly healthier. It’s not cloyingly sweet and has the same consistency of a jam. It stores well and is super delish. Place all the berries in a saucepan with the stevia and allow them to cook for about ten minutes until they are nice and soft. Then add in desiccated coconut and chia seeds and cook for another five minutes until all the water is absorbed.